Every women needs cosmetic, we can be different character just because the magic touch of makeup. 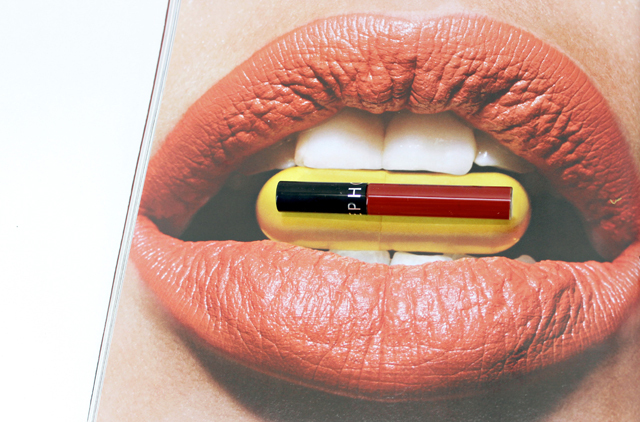 We can put red lipstick and instantly change our mood and boost our confidence. That's why I love makeup and never get enough of it. Usually I go to makeup store to find the products, but nowadays all the things become easier. Knowing Luxola.co.id offers me more than just online makeup store makes me happy!. I live in Bandung means if I need particular brands I have to go to Jakarta for buying it. Now I just sit in my chair and order it from Luxola.co.id, Tadaaa I will get that makeup in 1-2 days. 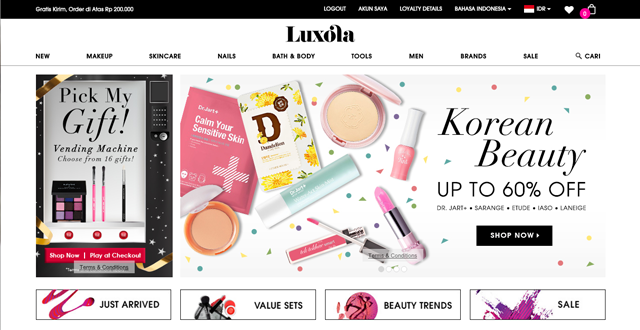 Imagine every women who live outside of java island also can get genuine quality international brands without go to makeup store and of course Luxola.co.id only sells 100% original products and all the products are BPOM-certified, so they are safe. Good news! 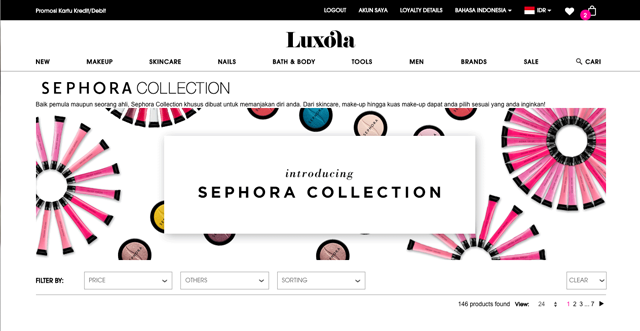 Sephora collection are now available on Luxola.co.id, who doesn't know Sephora? Sephora is my favorite actually, it has high quality products and recommended by so many professional makeup artist, beauty blogger, and personal user. 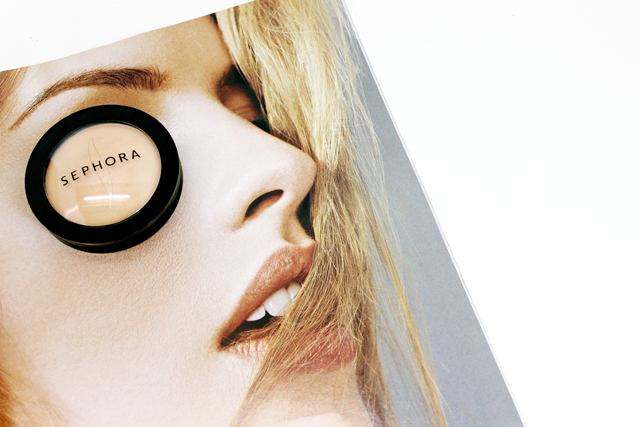 We can find all kind of Sephora Collection products on Luxola.co.id such as skin care, makeup, and brushes. See? we don't have to go to Sephora in Jakarta. Yes! it's as simple as you think. 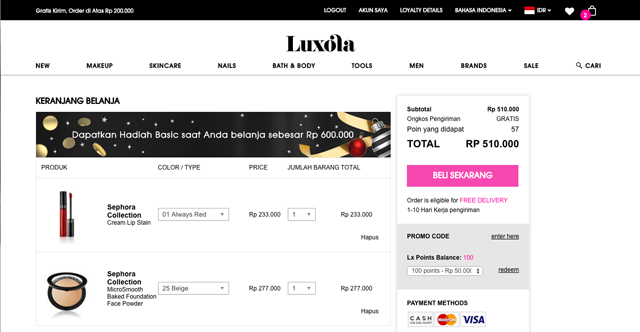 Well, honestly, shopping on Luxola.co.id is very easy because they have clean and clear layout that easy to navigate. Since, I had been lusting for Sephora Collection product over a long time, I went straight to their page section, narrowing down my search to the makeup products I was looking for. oh I forgot to tell you that luxola.co.id also give free shipping for a minimum spend of IDR 200.000! If this was not enough, let me tell you the shipping is super fast. After two days, my order was came to my home!. And what Sephora Collection did I buy? I planned to explain precisely why I was recommending these to you. So check, what all I got from Luxola.co.id. I will start with Sephora Lip Creme Stain, Which I will definitely repurchase because the formula is so impressed. The lip cream stain is slightly liquid-y, but it dries very quickly into completely matte. Then It's last for 6 hours before starting to gently wear away from inside of the lips. More? It comes in lots of amazing colors, but relevant to my interest (I really love bold lipstick) I picked "Always Red". The shade is very pigmented and it's classic red color. 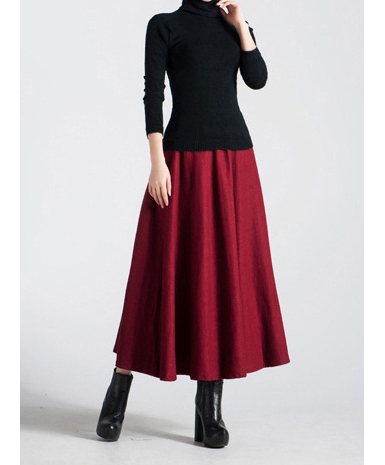 This classic red would likely suit all skin tones. You should try it too! And second product is Sephora Microsmooth Baked Foundation Powder, I don't like looking powdered, That is why I love a Makeup Forever HD powder, it takes away the unwanted shine without taking away the healthy glow. Sadly that powder is expensive also it doesn't have much coverage. So, I try this baked foundation powder and surprisingly this foundation is awesome. The coverage of this powder is medium-light so it doesn't look cakey at all. It doesn't leave you looking powdered, but just makes your skin look smooth and perfected, but still natural with healthy glow. Honestly, this powder has actually taking me by surprise. But guess what now, friends? you can get 20% DISCOUNT on Luxola.co.id by entering ILX-JUNEPASKI on promotion code form. Don't forget that this special code valid until 31st of December. The code is valid for first time shopper only and not valid for non-discountable brands. Happy shopping friends!